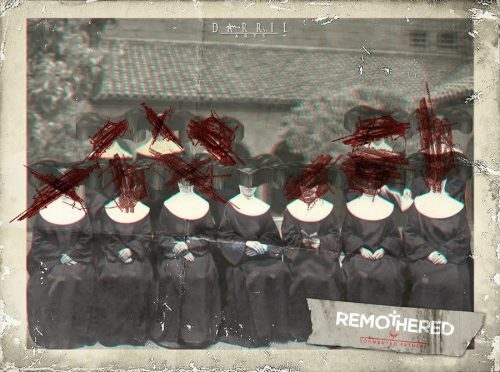 Remothered: Tormented Fathers horror game review by Oki Covarrubias!! Like many of you, one of my first introductions to horror was through video games. I loved watching my older sisters roam around the Racoon City police station, feeling inquisitive about the myriad amount of puzzles and locations yet to be explored, and anticipating the next jump scare or monster appearance that would inevitably urge us to find the nearest save point and call it a night. Since then I’ve been happily inured to survival horror games, but it’s very rare that I find one that makes me feel the way the old console games used to. We’ve been blessed with a few goodies here and there, P.T. being the most notable in years, even though it was only a demo for a now cancelled Kojima-Del Toro-Norman Reedus collaboration, but we are mostly treated to a lot of first-person shooter games passing as survival horror, and while I find nothing wrong with first-person shooters, they’re actually quite fun, I did start to miss the more puzzle-based, jump scare infested horror games from the previous years. 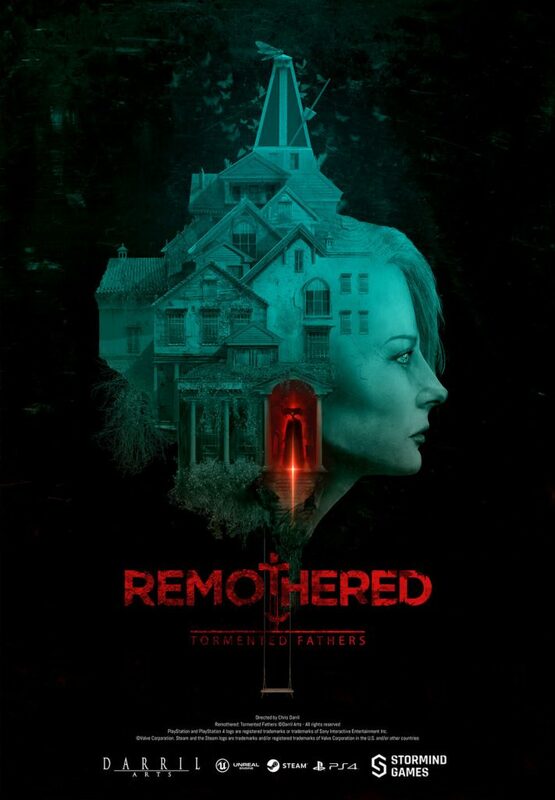 Remothered: Tortured Fathers slipped my radar when it first launched as an early access game on PC via Steam on October 21st, 2017, and I only became aware of its existence because of its recent July release on Playstation 4 and Xbox One this year. I was instantly drawn to the game when I read that it was a spiritual successor to the Clock Tower series, a series known for depriving the playable character of any weapons and forcing them to run away from the villain, hide, and sometimes trigger an event that could temporarily stun them. The series actually took its inspiration from none other than horror filmmaker Dario Argento, which is especially obvious in the first installment where you control a character named Jennifer, who looks just like Jennifer Connelly’s character in Argento’s Phenomena. In Tormented Fathers, you take control of a character named Rosemary who has a striking resemblance to Jodie Foster’s Clarice Starling of Silence of the Lambs, but you won’t be getting any help from Mr. Lecter here. In fact, you’re pretty much all on your own. Taking place in the early 1970’s, the story begins to unfold as you take control of Rosemary, who is heading to the home of Dr. Felton, an elderly man affected by a terrible disease, in hopes of discovering the truth behind the disappearance of a young girl named Celeste. Even the most mild horror fans will recognize the manor as a huge no-no. I really have to give credit where credit is due in regards to the design of the house. It’s amazingly eerie and beautiful at the same time, like it came straight out of an old Hammer horror flick. And to avoid spoiling the plot, I’m only going to say that even though Dr. Felton seems like a convivial man, you’ll find yourself hiding in terror from him not long after your first encounter. I mostly don’t want to reveal any more of the plot because the game is remarkably short; it only runs about six or seven hours total, depending on how long it takes you to build up the courage to proceed. 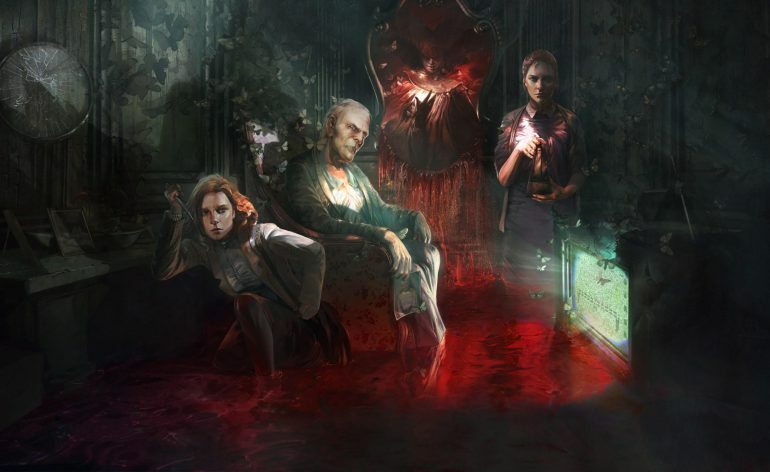 Calling this game a spiritual successor to Clock Tower is quite a statement. 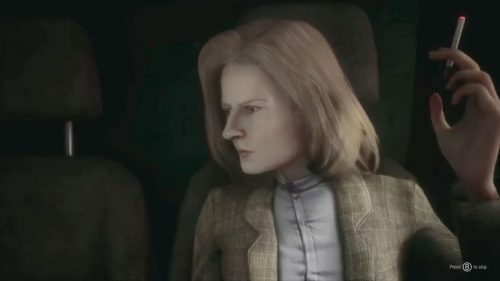 Even though Clock Tower was never as popular as other games like Resident Evil and Silent Hill, it has garnered an array of exceptionally ardent fans who often prefer it over the latter titles. As a fan of the Clock Tower series myself, I can happily say that I agree with the statement, and I was glad to discover that it didn’t end up being a blatant rip off. The game takes inspiration from other games and numerous films both visually and mechanically, but it feels very much like its own universe. It’s a lot more stealth based than Clock Tower, similar to something like Forbidden Siren or even Metal Gear Solid. The villans who stalk you inside the dark halls of the manor don’t just randomly appear at specific points in the game, they’re ALWAYS on the move, so there’s rarely a moment when you feel completely safe. You do NOT want to be seen or heard by any of the game’s villains because doing so results in a tremendously nerve wracking chase sequence that you can only get out of by hiding. You are able to collect items to throw at or distract your assailant, but as mentioned before, you cannot fight them off with a weapon. You can hide from your attackers under couches and inside of empty wardrobes, which switches your point of view from third person to first person, and ultimately adds more dread to the gameplay as it allows you to watch their feet walk right past you. As you might have already gathered, this game does require a bit of patience, especially if you’re used to the more fast paced action games that have been popular as of late. 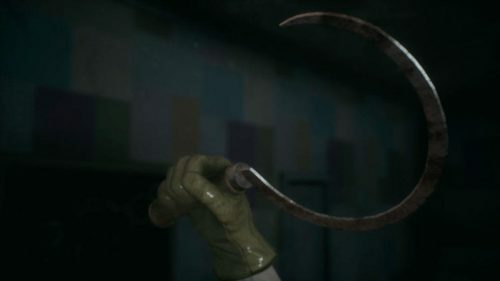 I don’t mean to underestimate the amount of fans that this type of survival horror has, but I also want those who are outside of the circle to be aware. I find that most negative reviews stem from a disappointment brought on by expectation, so just know that waiting in your hiding spot is sometimes much more convenient than making a run for it. The game also requires you to use a save point instead of having an autosave feature like most modern games, which adds a bit of a nostalgic quality, but having to make a trip to the save point after you’ve received a key item or unlocked a new area can be quite tedious, especially when it’s out of your way. This will irk some people for sure, because there is a chance that you can get killed before reaching the save point. Modern games have us so spoiled now. Although I’ve spoke quite highly of this game so far, it isn’t without its minor imperfections. Some of the character dialogue overlaps during the cutscenes, which I thought was a creative choice at first, but it ended up being a bit hard to follow sometimes. There were also moments where the villain’s voice sounded VERY close as I was exploring the manor, so in order to remain unseen I would crouch down and hide until their voice grew faint. However, I soon discovered that they weren’t even on the same floor as me. This might have been done on purpose for the scare factor, but I found it to be a bit irritating choosing to hide from no one at all. The story itself is hard to follow as well, but I’ve read that this is meant to be the first game in a trilogy, so I’m hoping that we will learn more about what was really going on in the next installments. 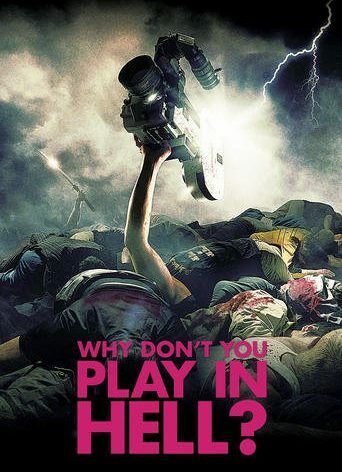 I don’t know that the ambiguity of the plot was entirely intentional; I either didn’t pay enough attention to the details or the pieces of the puzzle just didn’t connect as smoothly as they could have. It could be a mix of both, but I was so entranced by the world I was thrown into that in the end I wasn’t as bothered by it as other people online seem to be. There are a few grammatical errors in the files you acquire, such as “The reaction at the Cortisone is absolutely immediate”, but the point gets across regardless, and it doesn’t take away from the overall experience. The only thing that I do hope they improve upon in the sequel is the item pick-up function. You have to move the camera around to an unspecified angle in order to pick up an item, otherwise the prompt won’t appear. I found myself wanting to pick things up as I was running from an assailant so I could use them to my advantage but I would have to stop running entirely to figure out what angle allowed me to obtain the item. This bug could actually be fixed before the sequel, now that game updates have become available to us. Aside from that one gripe, the controls were pretty smooth overall. 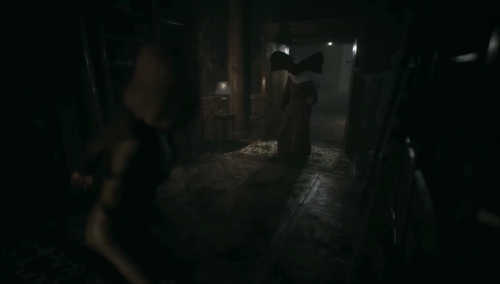 Remothered: Tormented Fathers was a complete blast to experience. Creator Chris Darril and his team have already started off on the right foot, and they can only improve from here on out. Not much is known about the announced sequel just yet, but if it has as much ardor behind it as its predecessor, I think we’ll be in for yet another sweet treat. In short, if you’ve enjoyed more stealth based survival horror games in the past and have an appreciation for underrated hidden gems like Rule of Rose and Haunting Ground, this game is most definitely right up your alley. 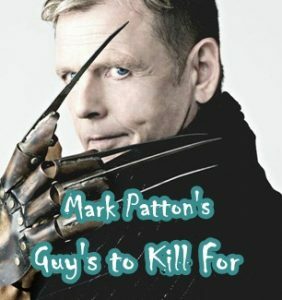 Even those who are unfamiliar with those titles but enjoy the genre as a whole will appreciate the references to other works sprinkled throughout. And with Halloween just around the corner, there couldn’t be a more perfect time to play a game where you have to run away from a crazy old man weilding a sickle and escape his gothic manor during a dark and rainy night.